Many contributing factors make this RC Laser regatta series so popular! Who can beat the Florida sunshine in February and March? How about the area surrounding the sailing venues? Ft Lauderdale, Naples, St Petersburg, Punta Gorda, and The Villages. Each year I tend to stay a little longer. It’s also the friendships made and revisited and the spirit of competition that draws skippers from around the country to these five regattas. Thank you to all the skippers who attended this year’s RC Laser Southern Circuit regattas. Hope to see you again next year. 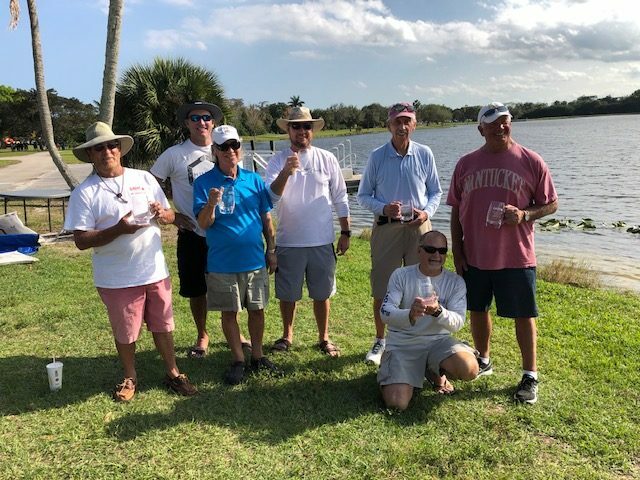 Thank you to the five clubs who supported and hosted these regattas; Sabal Pines MYC, The Villages Model Yacht Squadron, Tampa Bay RC Laser Fleet, Sun Coast MSC, and Naples MYC. 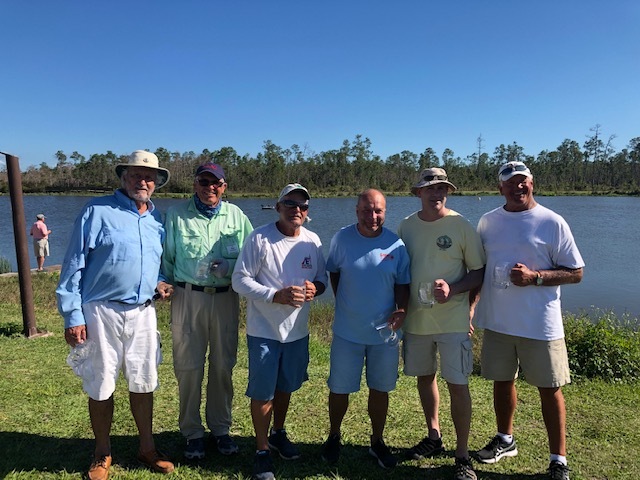 These five clubs are professionals in hosting regattas for many years and their dedicated and talented regatta hosts; Barr Batzer, John Goldsworthy, Steve Lippincott, Skip Newfield, and Richard Flach make these events fun and without them this series would not be possible. 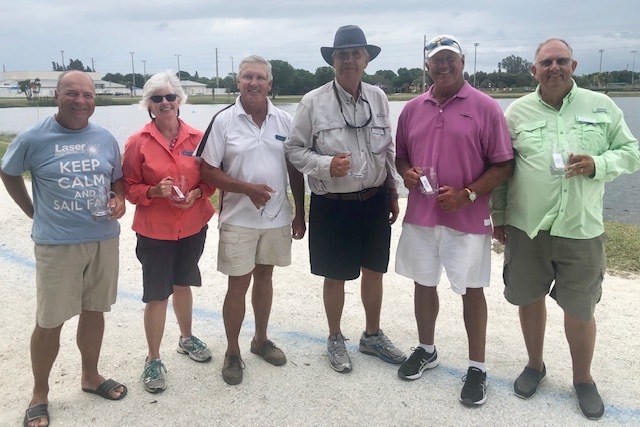 We’d also like to recognize the Race Directors who guided us throughout the regattas, Barr Batzer, John Santoro, Jim Pardee, John Steacy, Randy Williams, and the teams of volunteers from each club that gave their time so we can have fun sailing our boats. Thank you all! All of the RC Laser Southern Circuit Regattas use the Gold-Silver fleet format for racing, thus allowing competitors to sail against their peers. It’s exciting to see an improving skipper win their first trophy in the silver fleet. This year’s Silver Fleet winners were, Jim DeSeno, Chris Dingle, Jim Pascalides, Larry Lefczik, and Terry Naylon. As usual the weather was perfect at every regatta. A and B sails with lots of Florida Sunshine! The Gold Fleet is getting more competitive with better skippers from other fleets joining in to enjoy the simplicity of the RC Laser and the competition. 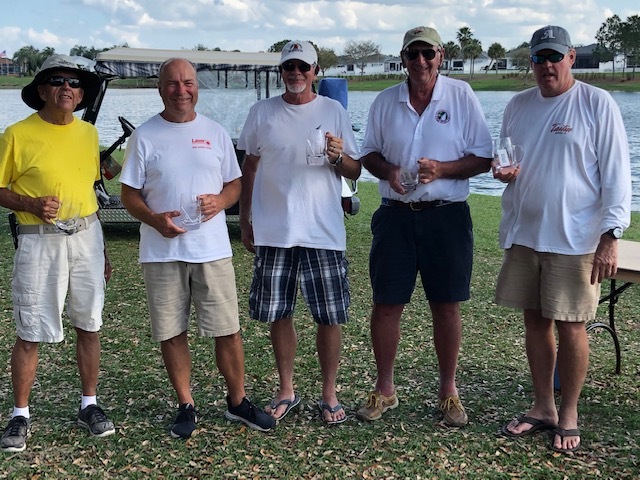 This year’s Gold Fleet winners were Larry Lefczik with two gold fleet wins, Dave Branning, Dave Brawner, and Rob Stephanz. Great sailing! Plan now to attend all of 2020’s RC Laser Southern Regattas.